Though The Talent’s acoustic duo is renowned in London, they continue to perform across the UK, sharing their flair for music with you all. Equipped with a stylish guitar and a pair of naturally great voices, the couple perform stripped-down acoustic versions of some of the greatest songs ever written. If you have requests, we may already have these covered, but if not, we will see if we can accommodate them for your special day. From a wedding breakfast to a champagne reception, our acoustic duo is guaranteed to entertain your guests every single time, often cutting loose from the stage to wander amongst your guests to perform in their own unique style. For wedding band hire with a difference that not only creates an atmosphere but lasting memories, choose an act that shares your same love for music. In short, choose The Talent. 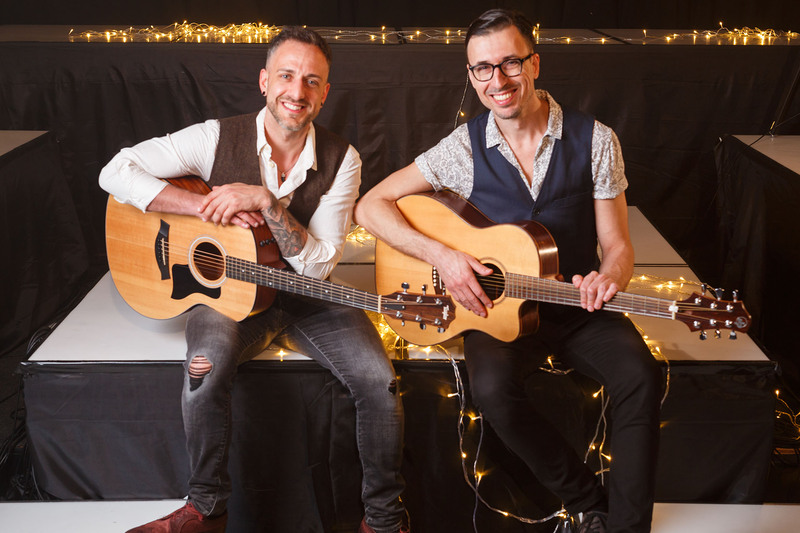 However, the Talent’s acoustic duo is a contemporary alternative to the entertainment usually performed by weddings bands, and is also suitable for all types of events throughout the UK, no matter whether you require a party band or an act for your corporate event. Allow them to become the soundtrack of sophistication to your special occasion, charming and entertaining your guests as you arrive, and going on throughout the night alongside your DJ or live band. For something different that steals the stage, consider The Talent Events’s acoustic duo as the main act, and an alternative to the conventional DJ. With this type of live party band for hire, guests can wind down with a successful evening of specially-selected songs as an after-party treat, or experience something that takes them late into the night; the choice is yours! Hire The Talent today to ensure the success of your event. For further information on our acoustic duo and its availability, or to receive your personalised quote, contact us by calling 01206 820212 or email us at: info@thetalentevents.com. Alternatively, you can submit an enquiry here and we’ll get back to you as soon as we can. We look forward to hearing from you! "They were faultless – everyone was dancing all night and our guests still talk about them. "